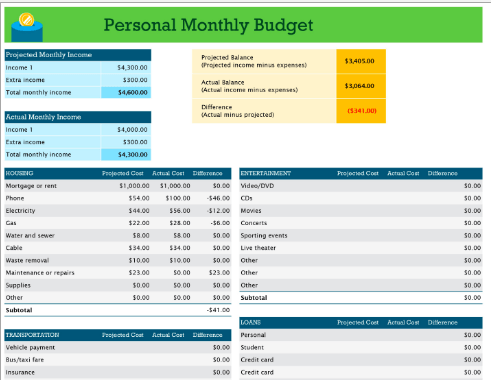 Using a budget template can be life changing. I know, that’s a pretty strong phrase to attribute to a simple tool. One of the main reasons people give up on their personal goals, is because they’re living paycheck to paycheck. For decades. But sometimes the simplest tool can change that. Simple tools like a fish hook, or a level, or even a pencil, all made what was once a harder job, much easier. Imagine trying to catch a fish by hand? Or building the Empire State Building without a level? A budget template can make a job we all avoid, and make it easy. 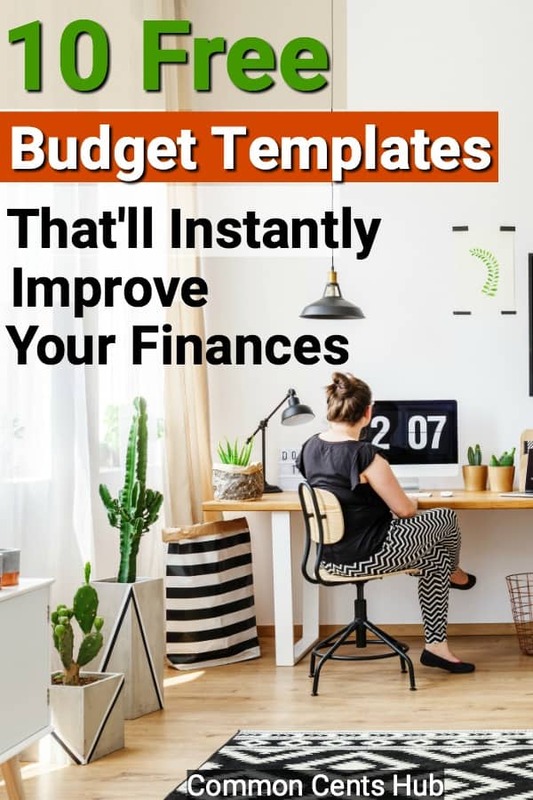 How Can Budget Templates Help You? 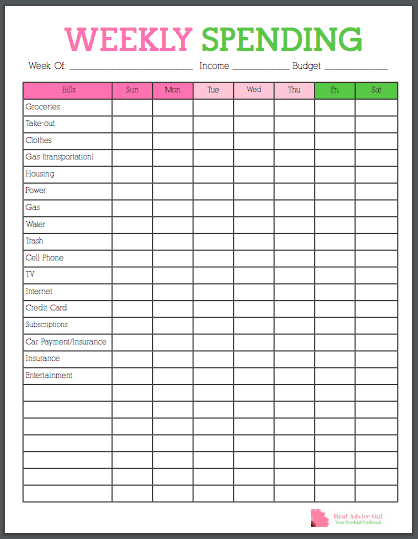 A budget template helps you to reduce the time it takes to track your spending. A template in general, is a tool you’d use in jobs that have repetitive tasks. They help us to reduce the time it takes to do anything from writing a business letter, to tiling a floor. With a template, you can skip any repetitive tasks and complete your job in a fraction of the time. 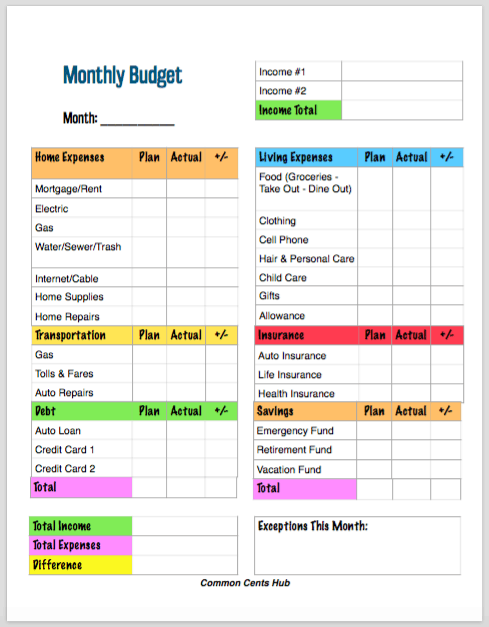 A monthly budget template can be a spreadsheet, an app, or even a printed sheet that you hand-write your expenses on. You can make an apples to apples comparison of your expenses each month, to see your progress. The key to moving past paycheck to paycheck, is to know where every dollar is going each month. Most people don’t budget, and that’s a big reason why almost 80% of us live paycheck to paycheck our entire career. So by reducing your time, a budget template can help motivate you to adopt budgeting as a habit. You’d choose whatever format you’re comfortable with. A spreadsheet, an app, or a pre-printed sheet. Then each month, just scan down your bank statement, and add your spending into the categories. Seeing exactly what you’re spending on things like food, clothing or entertainment, and comparing it to previous months, is the only way to really drill down and control your spending. Anytime you can make something easier, you’re more likely to adopt the habit. And when you can compare this month to previous months, and see the results of your lifestyle adjustments, or budget tweaks, it’s really motivating. If you’re just beginning to budget, or you just prefer writing it out, this one should do the trick. It’s a simple, one-page budget, that you can fill out each month, and then compare it to last month’s. 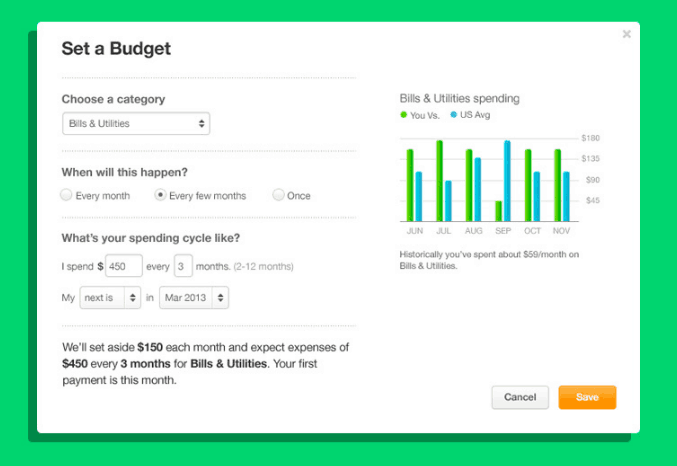 You can track your spending, and start zeroing in on categories you can save on. Apps and spreadsheets are nice, but if you’re a paper and pencil person, this’ll still help you to move beyond paycheck to paycheck. Here’s another option from Printable Crush if you prefer to write in your expenses. There’s no shortage of categories and it’s laid out clearly. Maybe you’re really trying to focus in on your cash flow, so you want to track your expenses weekly instead of monthly. Here’s a nice simple layout from Real Advice Gal that’ll help you to zero in on what you’re spending day to day. 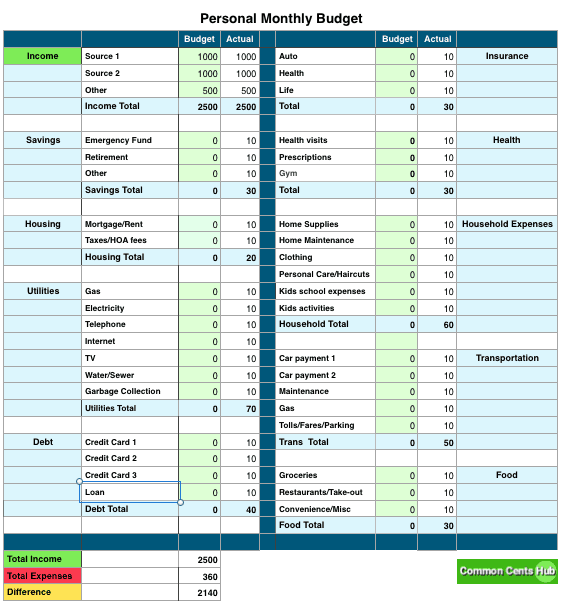 Budgeting will be a breeze with this easy to use spreadsheet. Fill in your budgeted amounts, then enter your actual amounts each month. The actual amounts will auto-total, along with the grand totals at the bottom. 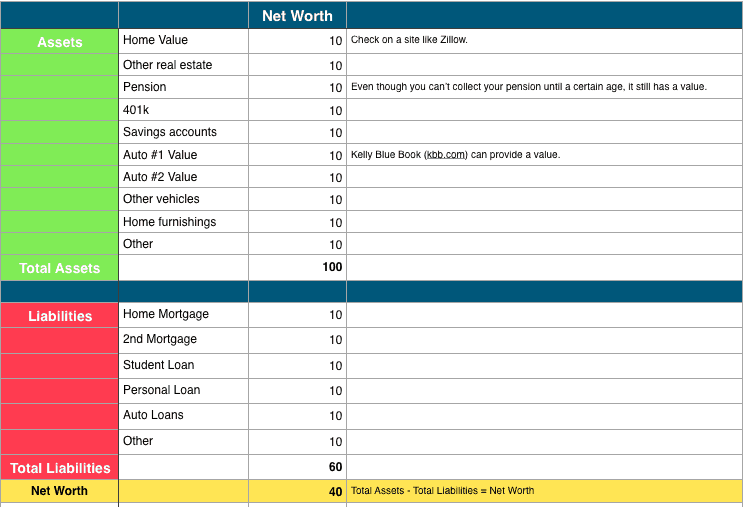 If you’re not familiar with Personal Capital, it’s unique, because it’ll track not just your budget, but all your accounts. And it can display them, along with your net worth under one view. That’s key, because your net worth is the quickest indication of whether you’re building wealth, or sinking further into debt. So it’s a tool to make sure you’re budgeting for this month, but it also helps you plan and forecast for the long term. You can do projections on when you’ll be able to retire, and see what’ll happen by increasing your savings or eliminating debt. It’ll also analyze your investment fees and alert you if you’re paying too much. You can just download the app and use it FREE, which is how I use it. Or you can pay to have someone actively manage your money. But there’s no obligation at all. The free app isn’t a stripped down version that blocks you from many of the features. It’s a complete tool, that can help you balance this month, but also give you a better grasp on your overall financial health. Mint is one of the most popular apps for budgeting, because it’s really easy to navigate, you can use it from anywhere, and it’s FREE. You can setup or maintain your budget from your laptop at home, but it’s nice to be able to whip out your phone at the mall and make a quick budget check before you splurge on those new shoes. Setting up categories is simple, and Mint will ask you all the right questions. Mint does more than just budgeting. It’ll remind you of an upcoming electric bill, or credit card payment. Or if you’re about to make a purchase, it’ll give you a heads up if you’ll be spending beyond your category limit. I like how intuitive it is when you add new expenses. It’ll suggest a certain category, but you can also make your own choice, or even rename categories. 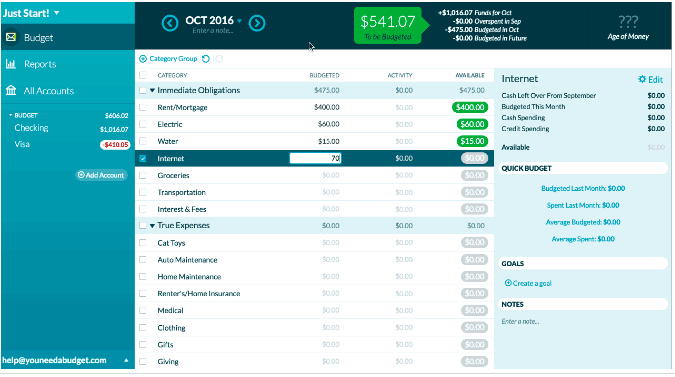 Mint can make budgeting much easier, and I’m surprised it’s still FREE. YNAB likes to say they “give every dollar a job“. so in other words, it’s a zero-based budget. It’ll prompt you to budget every dollar of income, right down to zero. It’s flexible to get started, letting you add or edit categories to fit your own situation. 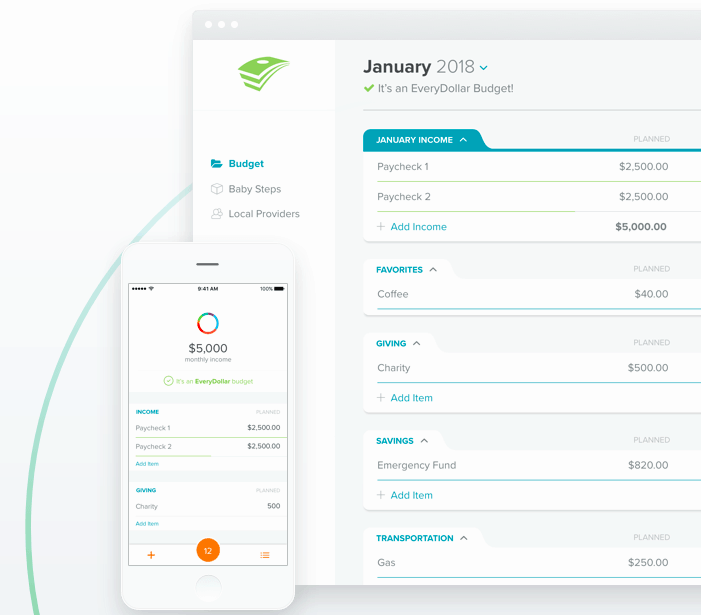 It gives you a nice summary at the top of the screen, with your total cash flow for the month, the total you’ve budgeted for the month, and your total monthly activity. You can import transactions straight from your bank. Once the transactions are imported, then you’ll need to assign them to categories. You can split imported transactions into multiple categories – for instance, $100 to Target might be split between your food and household categories. YNAB also enables you to setup multiple savings goals, and track your progress. YNAB will also ask you about expenses that may not occur every month, like car maintenance, or a water bill. It’ll then help you to set aside money each month to prepare for it. YNAB isn’t free, it’s $6.99/month. But they do offer online support, and a full money back guarantee, for any reason. Dave Ramsey’s Every Dollar app does just what the name implies. It’s another zero-based budgeting tool that guides you through entering your income and expenses, then gives every dollar a job. Whether your paycheck is split between bills, debt, saving or spending, it’ll show you exactly where everything is going. I like a zero-based budget because it immediately pinpoints those “leaks” where somehow you can’t account for several hundred dollars each month. If you’re struggling to piece together an emergency fund, then you see that you’ve spent $200 at Target, or $300 on restaurants and take-out, it’s a big wake-up call. If you’re a Microsoft Office/Excel user, there are dozens of budget templates available for download from Microsoft. Everything from personal budgets, family budgets, Christmas or vacation budgets, home construction, events, college expenses… well let’s just say they have a lot of them. 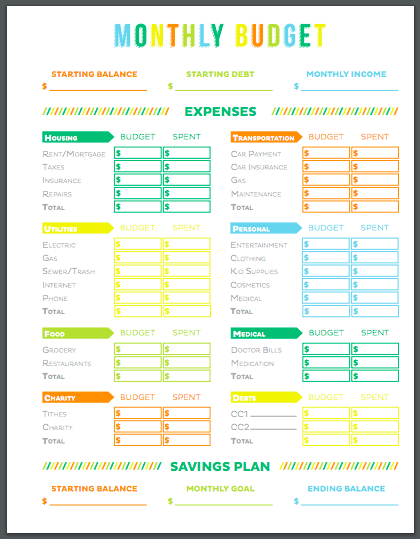 Using a budget template will make budgeting much easier, and can help you to make it a habit. But even before you start plugging in your numbers, there’s a step you don’t want to skip. Budgets are a valuable tool, but they’re not just about crunching numbers..
How do you know how much to spend on things like housing, or utilities, or entertainment? Your sister might budget $200 a month for entertainment, but what’s right for you? What criteria do you use to plan your lifestyle – things like where you live, what you drive, what you eat, and how you spend your time? The only way to know that, is to take some time and figure out what your goal is for the next several years. 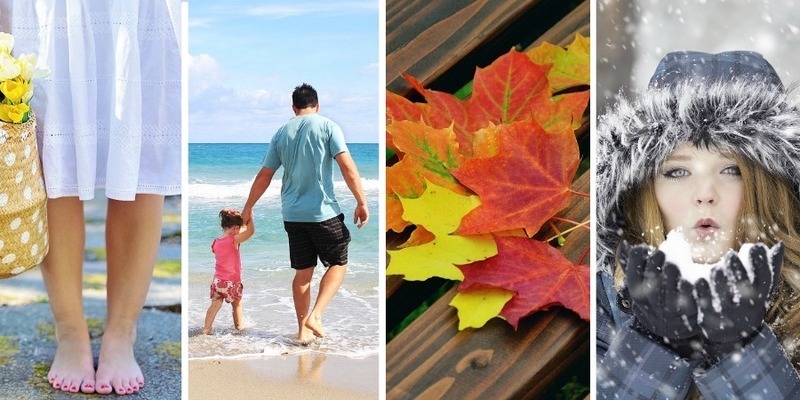 Is it to finish school, to buy a home, to move, to become debt free, to start a business, or maybe to travel? Once you know that, a lot of other spending decisions will fall into place. It’ll factor into your choice of an apartment or a home. Your goal will be a motivator to pay yourself first each week. You’ll prioritize things like a brand new car, or cable TV differently. You’ll become more intentional about spending on anything from food to fitness. So a budget will help you to move from just paying the bills, to actually getting what you want in life. But you’ve gotta decide that. 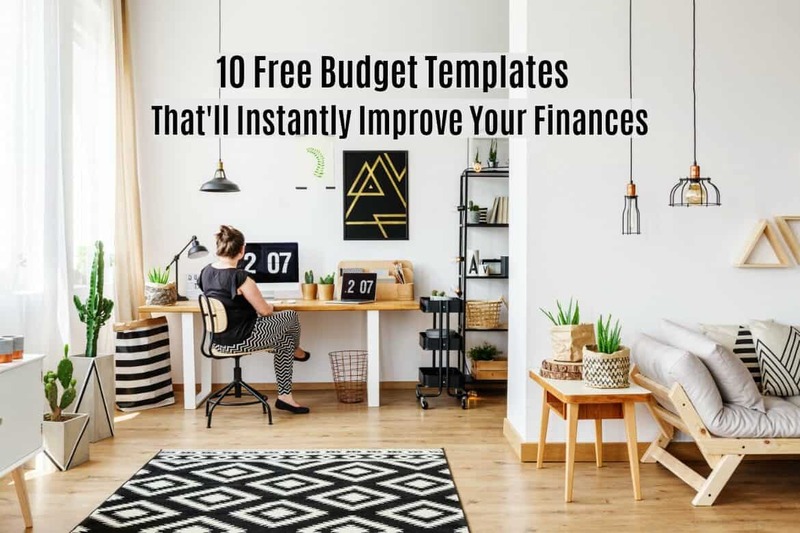 And once you do, one of these budget templates will make the process easier. How about you? Are you using a budget now, or would any of these help?